Opening a pizza restaurant is no doubt a milestone not everyone can brag with, this is the reason you need to invest time and research into it in order to be successful and stand out from the crowd. Along with your restaurant you also need a website that will offer your potential customers a taste and preview. For this, we have selected the best and most professional pizza house WordPress themes currently available. Even if we narrowed it down to 20 pizza house WordPress themes, you still need to check them all out and see which ones fits your business and vision the best. You should be looking for features that will make it easier to run such a business and a design that will turn visitors into customers. 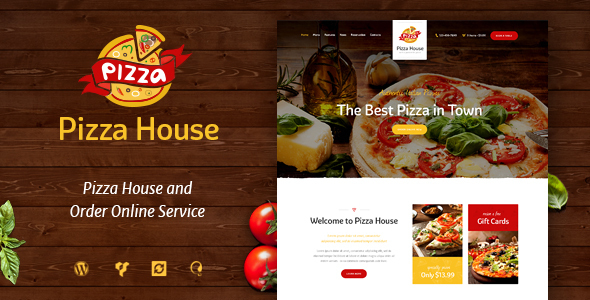 You can spend countless hours searching for the best pizza house WordPress themes or you can immediately go with Pizza House. Pizza House is mobile optimized and will keep its beautiful layout no matter the device used. As customizations go, this theme offers a one click demo import process, drag and drop page builder, a couple of homepages, mega menu, sticky menu, parallax effect, Google map, and Google fonts. All in all, Pizza House is definitely a theme you should consider for your pizza restaurant! If your new pizza house is ready to launch then you need to browse among these pizza house WordPress themes immediately, or go with a solid choice, Zio Alberto. Zio Alberto is mobile optimized, SEO friendly, and retina ready. By offering you a page builder included you can build any page layout you might have in mind without coding skills required. This theme is your best choice for converting leads to sales without investing hundreds of dollars into marketing. Showcase your services with Zio Alberto! Bakery, Cafe & Pastry Shop WordPress Theme is a theme that knows exactly how to aid its owner. 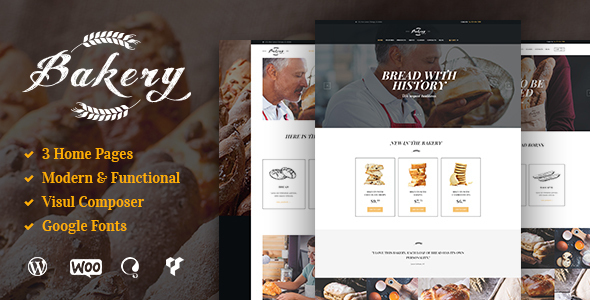 It includes 3 beautifully designed homepages ideal for bakeries, pizza houses, and restaurants. Additionally, it contains Visual Composer, custom sliders, translation options, shortcode builder, WooCommerce, and lots of layout features. Design your entire website using this incredible theme! If you have a poorly designed website people will have their reservations when it comes to your business. Vincent is a theme that will improve your website through a slick, modern, and fun design. To get more in-depth, Vincent comes with 6 amazing homepage designs, 3 food menus, WooCommerce integration, contact templates, about us page templates, team section, Google map, Visual composer, and blog templates. 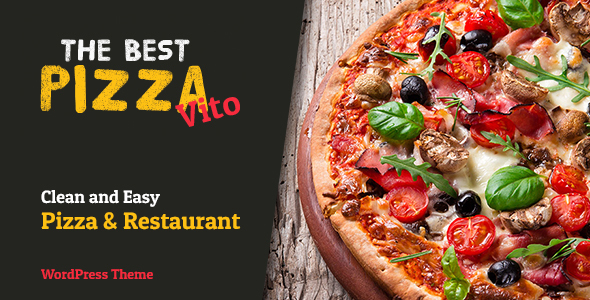 Cement your spot among the most popular pizza houses with Vincent! 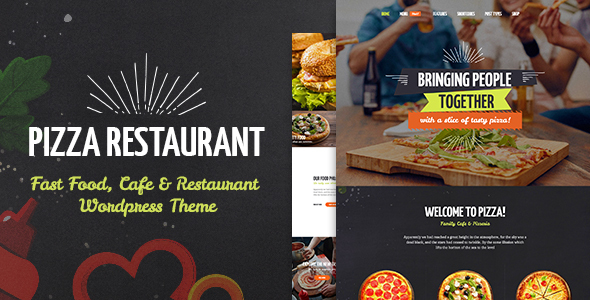 A great pizza house WordPress theme will help your business stand out and Albertos does that. This theme has a stellar design sprinkled with creative and engaging elements that will draw anyone’s attention. 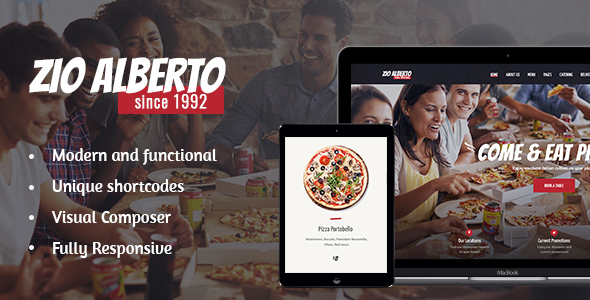 Albertos has everything a pizza restaurant website needs starting with food menu items, food portfolio, blog page, contact and opening hours, header and footer settings, Visual Composer page builder, and a Google maps. Albertos will surely increase your sales! Kataleya is a sleek, speed optimized, intuitive, attention-grabbing pizza house WordPress theme. Using the tools provided by Kataleya you will craft an eye-pleasing website to represent your business in the online world. Kataleya is very versatile and comes with plenty of options such as 5 gorgeous demos, reservation sections, ordering feature, a stunning menu, courses menu, and 2 great premium plugins. Create a website worthy of your business with Kataleya! 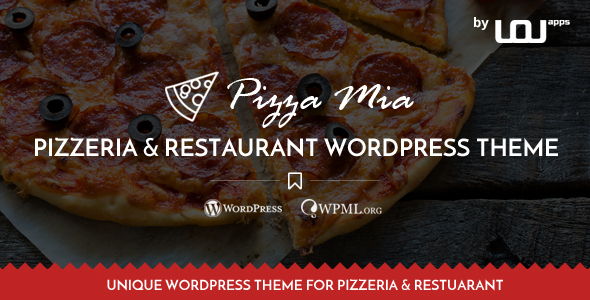 Scouring the internet for the best pizza house WordPress themes, we have found PizzaMia. This theme is impeccable both design and functionality wise. To help you get started you can import the demo content through a single click, and then read its complete documentation for frequently asked questions. Their customer support team is always prepared and happy to help with any questions you might have. A few features of PizzaMia are sliding testimonials, 30 pre-made demos, intuitive admin panel, and integrated Visual Composer. Pizza Restaurant WordPress theme is a user-friendly, responsive, and dazzling platform for pizzerias, cafes, and restaurants. 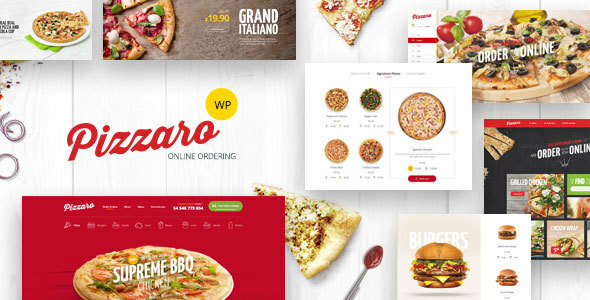 Pizza Restaurant offers its users 2 mesmerizing demos, menu variations, a shop page, blog layout, project layout, 2 powerful sliders, custom widgets and shortcodes, form builder, typography options, and unlimited colors. Keep in mind though that some of the images you see in the demo may not come with the theme. 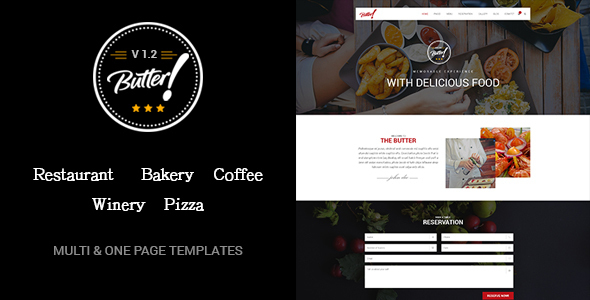 Butter is a food related versatile platform that can easily be adapted to a pizza WordPress theme. Butter delivers only performance and professionalism compelling your audience to try out your delicious pizza. Butter comes packed with 10 multi and one page layouts, different footer and header styles, smooth animations and effects, OpenTable Reservation, and tons of shortcodes. Butter is a solid choice for any pizza restaurant! When running a pizza house website you need to give your audience a preview and taste of what they get if they choose to eat at your place and Pizzaro is the perfect theme for that. Pizzaro is highly customizable and comes with over 150 homepage sections for pizzerias and over 7 homepage demos. It also contains 14 shop layouts, 3 single product layouts, 6 premium plugins included, mega menu support, products carousel, and deals feature. Pizzaro has all the things you need to run a successful pizza house! Let’s be honest, everybody loves pizza and if you opened a pizza restaurant you are most likely to succeed in this niche if you stand out a bit. 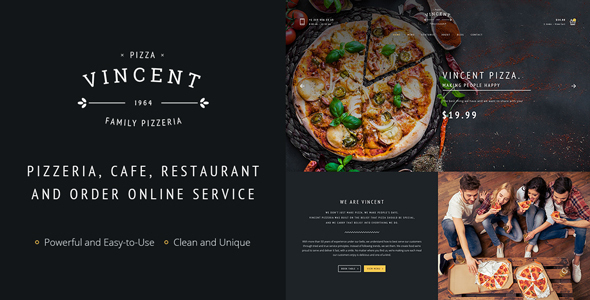 To help you achieve this, meet Pizza – an amazing, responsive, and original pizza house WordPress theme. There are more than 10 pre-designed menu templates, Qoob page builder, light and dark templates, reservation forms, live customizer, 2 pre-built demos, Google fonts, and much more included with Pizza. Avoid all hassle and choose Pizza! As soon as your pizza restaurant is ready to open you should also launch your website because some of them will want to learn more about it before going. Food truck is gorgeous pizza WordPress theme to take into consideration as your solution. Food Truck comes with features that are vital to pizza related website such as 20 layouts, WooCommerce integration, geolocation, 4 slider types, live Twitter feed, showcase sliders, and 150 multi and one page templates. Check Food Truck out today! Sage is multipurpose WordPress theme that makes it easy to develop a website from scratch. One you import the demo content through a one click installation you get more than 40 original homepage demos you can play around with. Other options included with Sage are 20 menu pages, over 80 design elements, 4 addons, 2 header layouts and behaviors, integration with Visual Composer, and a menu builder. Whatever you want and need, Sage has it covered. Without a doubt, one of the best pizza house WordPress themes. Even if it is a fairly new theme Steweys is steadily becoming more and more popular thanks to its lovely and lively design. The design is not the only thing attracting webmasters to this theme offering them great versatility in terms of functionality as well. Steweys is designed to be extremely easy to use and you can import its demo content with only one click. After that you can customize it through its admin panel and craft an original style. Steweys is an outstanding premium theme! Pizza house WordPress themes need to be easy to install, set up, and customize and RedChili checks all those boxes. 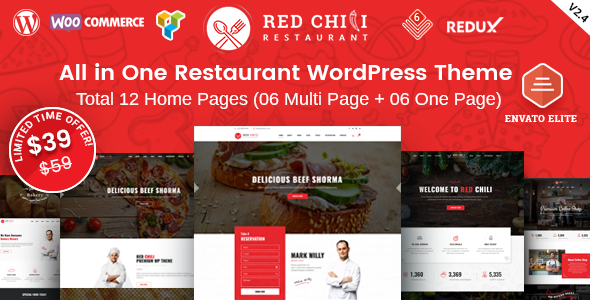 Being a very flexible theme, RedChili comes with 30 website demos that can used for restaurants, pubs, pizza houses, and fast-foods. RedChili also comes with multilingual and RTL support offering you the opportunity to market your business to more people. Moreover, you get menu layouts, header styles, premium plugins for free, a powerful customizer, and custom addons. Have your website up and running in minuted with RedChili. When building a website you need to invest a lot of time and research, but Domnoo can help you skip these steps and cut it right to the import thing: your content. As many pizza house WordPress themes before it Domnoo offers 2 original homepages, Visual composer drag and drop page builder, responsive slider, deal of the day section, most popular food, blog layout, contact form 7 integration, custom widgets, and mega menu. 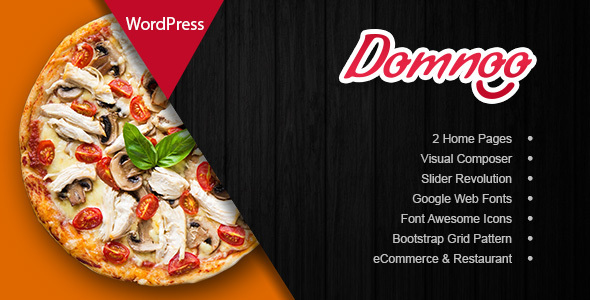 Try Domnoo – one of the most powerful pizza house WordPress themes on the market! More and more consumers are researching restaurants before ordering or going there, this is why it is important to have an inviting design for your business. Vito’s comes with some fundamental tools among which are shop layouts, featured items section, portfolio, grid layouts, welcome page, contact form, opening hours, Google map with phone number, and lots more. With Vito’s your website will look amazing and captive more and more potential customers - as all pizza house WordPress themes should do! 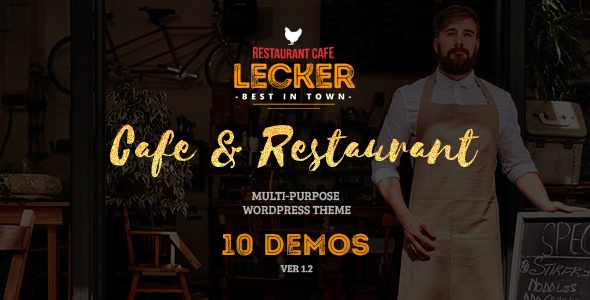 Lecker is a user-friendly, joyful, professional, tasty-looking, and eye-catching pizza house WordPress theme that will surely help any new restaurant get going in this competitive niche. Lecker is a not a flashy or overbearing theme even if it comes with a bunch of features. 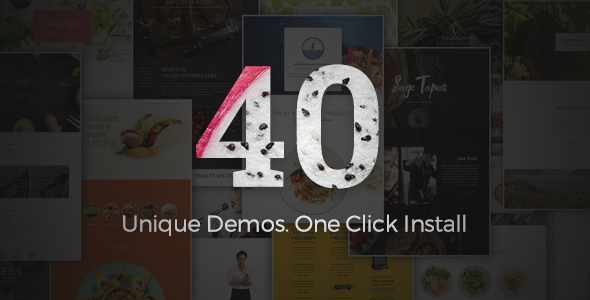 This theme contains 10 demos that are perfectly designed for restaurants, pizza shops, bakeries, and bars. Lecker includes stunning animations and hover effects, beautiful titles, mobile friendly design, 320 icons, and video tutorials. Food & Pizzeria is a completely responsive, versatile, and visually stunning pizza house WordPress theme. 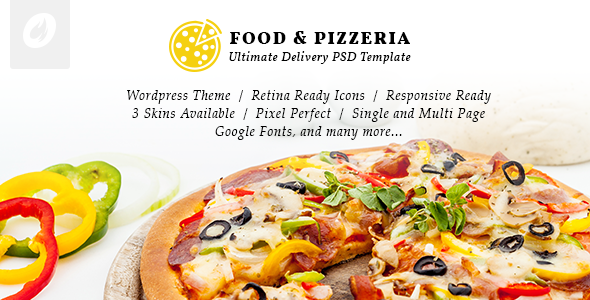 Food & Pizzeria incorporates a delivery system, shop page, white skin, blog page template, full width and boxed styles, contact form plugin included, drag and drop page builder, shortcodes, demo content, lots of color options, and unlimited portfolio styles. The perfect theme to build a pizza website with only a few clicks! 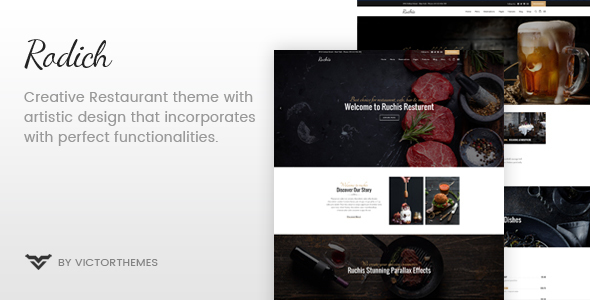 We are ending our list for the best pizza house WordPress themes with an intriguing, flexible, unique, and stylish template, Rodich. This theme will give your food and business a more artsy and contemporary look that many of your visitors will appreciate. Rodich is packed with 6 fantastic home page layouts, online reservation system, food menu styles, parallax effect, online ordering system, blog design options, and lots of page templates. Apart from all these amazing features you also benefit from lifetime updates and professional support. Try out Rodich!